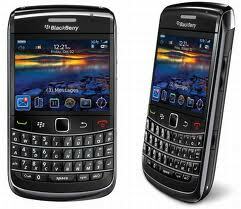 Enjoy Smart Blackberry Packages, no more worries about being out of the loop. Enjoy browsing, social network messaging packages with your Blackberry and stay connected with all your friends. Keywords below also works on Smart Talk N Text subscribers, if you are using Talk N Text prepaid just type the same keywords below to register Blackberry data plans. Here are the keywords on how to register and tips to decide which package to use that fits your usage. This works even if you're not using a Blackberry phone, simply text the given format to the access code to enroll on this promo. That's it. Be sure you received the SMS confirmation message before you start using the service. Is it possible to buy prepaid which is good for just one month? I'm going home for vacation and I wanna use my blackberry while I'm there, please advise.Salamat! yes ms. irene, make sure that you are using smart network just key in the keyword for monthly subscription just choose either data, social, email or bbm only package. Can it also be used for talk n text subscribers? hi...i would like to use the facebook and bbm for a month...which plan do i prefer?and which number should i send it to? Is there already a 3G service for Talk n Text since it's sharing network with Smart? Sinungaling yung nakausap q na babae sa smart center sa cubao gate way d daw pwede bbm ang tnt nag palit pa tuloy ako smart bweset xa iba iba statement analog pa ata alam nun..
i think there's a price change for the unli surf promo. on their site it says that BB Month is now 1200 a month. Paano po mag register ng BBM sa TNT? bagong BB user lng po kc ako. Maraming salamat..
How do I stop my Smart BBM subscription? I need to subscribe to BB full service.. Thanks! hello po.. nka reg na po aq nung bbm month nah 99.. eh di q po alam if pano e'activate.. but nkatanggap na po aq ng txt nila na nka reg na daw po aq..
how do I Unsubscribe BBM Monthly? hi po..may updated na po bang promo for bbm on smart prepaid?